I found myself with an extra fennel bulb wondering what to do with it. So I flipped through some cookbooks (actual cookbooks, I love feeling the paper!) and discovered this recipe in The Simple Art of Eating Well. As a bonus, it used zucchini as well! This time of year you can never have too many recipes that use zucchini. This meatloaf was one of the best I’ve ever had. It wasn’t too dense, and was very moist because of the zucchini. The Italian flavor was a nice change of pace. Although a bit fussy for a weeknight, it’s definitely worthwhile! Preheat oven to 375F. Coat a baking sheet with cooking spray or line with tinfoil or parchment paper. In a medium microwaveable bowl, microwave the zucchini, fennel, shallot and water for about 4 minutes, until vegetables are tender. Drain and cool. Meanwhile, whisk egg, tomato paste, mustard, Worcestershire, Italian seasoning, salt, paprika and pepper in a large bowl. Add vegetables and combine. Add breadcrumbs. Add beef and gently combine, taking care not to overmix. Form into a loaf shape and place on pan. Spread marinara on top of the loaf. Bake until instant thermometer reads 160F, about 40-45 minutes. This is a great way to get veggies in for my kids! Thanks for the suggestion!! I feel the same way about cookbooks-I have a slight addiction to buying them…ahhh…those glossy pictures… Your meatloaf is gorgeous BTW! Great idea! 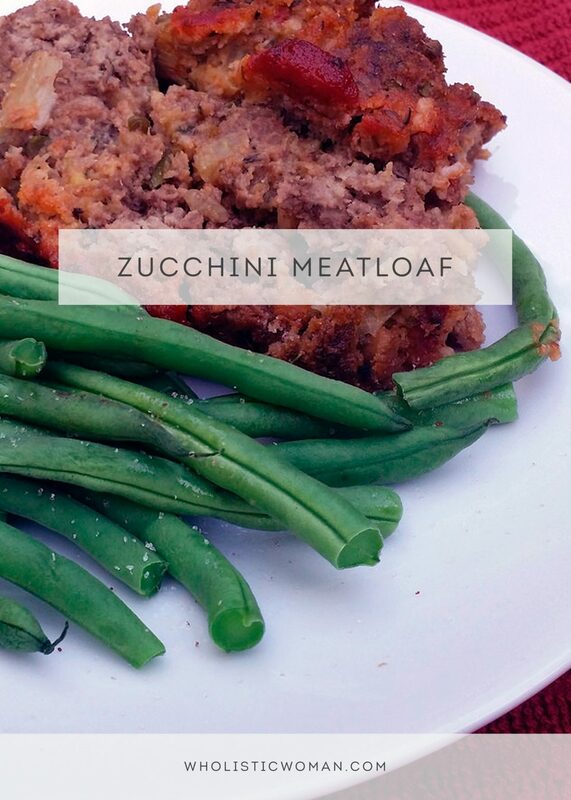 What a hearty and yummy way to use Zucchini! I love sneaking vegetables in wherever I can, great recipe!